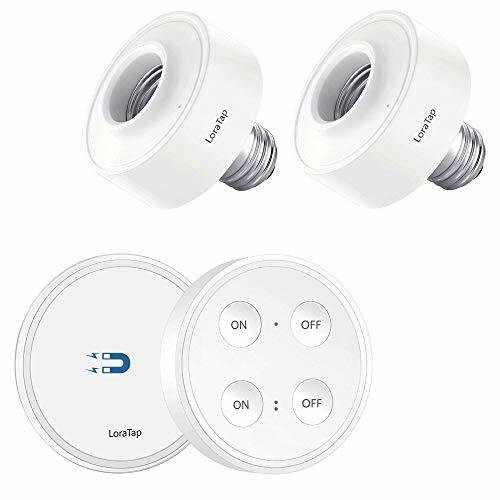 No app, No wifi, LoraTap wireless remote control light bulb socket kit allows you to remote control your lights from a long distance up to 656ft. Please note that this kit is not compatible with Amazon Alexa, Google Home or Apple Homekit! Bulb Socket Dimensions(Dia x H): 2.68 in x 2.83 in, it adds approximately 1.58 in to fixture height.